I had been in the corporate world for about twenty years. I had worked for some Fortune 500 companies, such as Procter and Gamble and AT&T. I had positions working with Executives. And I gained a lot of valuable experience in these positions. I became very proficient in computer software skills. While still in the corporate world, I had small businesses on the side, (i.e. Avon, Fundraising, and eBay). I realized I wanted to have a bigger business in my field, but did not know how to go about setting up a home business. As the years went on, I also began to become more and more frustrated about office politics. So one year, I went through an experience that caused me to seriously consider working for myself as a secretary. I had no idea what a Virtual Assistant was. So in my last year of working outside of the home, I began research into work at home businesses. But, I knew I had the skills to work in an office but I did not have the skills to run my own business. I was scared to take the step. Well after a lot of internet research, I found the VAC system. I purchased it and am very glad that I did. I was still working outside of the home, but I was determined to learn as much as I could. 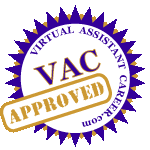 Through the VAC system, I received a very firm foundation to start and grow my virtual assistant business. There are also motivational lessons and exercises that kept me going. And it is a system where I had to apply myself DAILY! This is very good because having my own business takes very, very hard work. The templates have come in very useful, because Tawyna gives you the basics of what is necessary. As I grew my business, I modified the templates or created my own. The VAnetworking Forum also is a great resource. Many times I have posted a question to the group about a technical issue or how to approach a business situation that I have not encountered before. Every time someone has come through to help me. No matter how busy they are! If you really need a foundation in beginning your virtual assistant business, the VBSS system gives you a very strong starting point. And you receive continual valuable support from the the VAnetworking forum to help you succeed in your business. Starting a business can be an overwhelming process. However, with the Virtual Assistant Career, the process is streamlined, organized and very simple. I was able to follow the system step by step modules and launch my Virtual Assistant Company in an extremely timely manner. 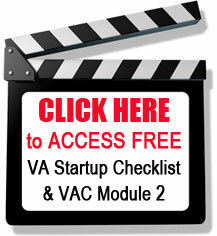 This system has become an valuable tool and resource for me and I HIGHLY recommend it to anyone who is serious about starting a VA business. 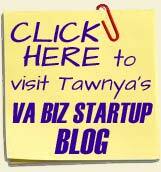 I also want to commend Tawnya for her excellent communication and customer service. Her responses to my questions and emails have always been extremely prompt and thorough. She is an amazing business woman and mentor to all. Thanks so much, Tawnya!! !